Interview with Sister Margarete (Roeber), a nun at the Holy Assumption Monastery in Calistoga, California. 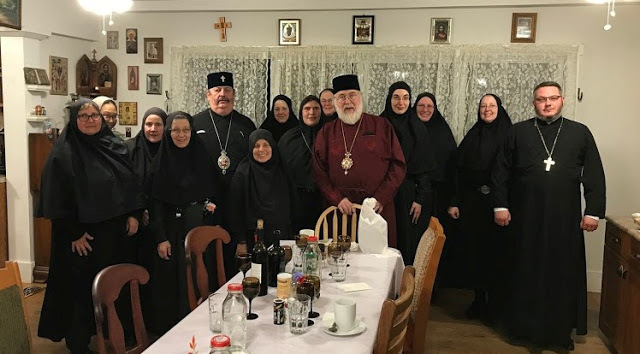 With the blessing of her abbess, Mother Melania, Sister Margarete has been on a pilgrimage all over the world, visiting Orthodox communities in Greece, Jerusalem, Georgia, Poland, Estonia, France, England and Russia. She stays for some time in each country, seeking for an opportunity to understand the communities’ lives, to feel their spirit and to acquire new monastic experience. Sister Margarete told us that among all the destinations they considered for her trip, St. Elisabeth Convent was the only monastery that her spiritual mother had pointed out as a “must see”! 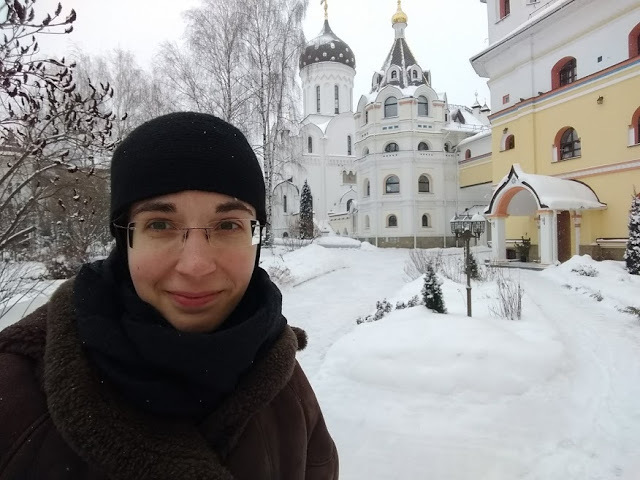 During her stay in our community, Sister Margarete shared with us why her entire family converted to Orthodoxy from a Protestant confession, how she made her decision to become a nun, what is special about monastic life in the United States, and also what brought her to St. Elisabeth Convent in distant Belarus. Sister Margarete had turned 15 when her family’s pursuit of life in Jesus Christ began to encounter difficulties in their Protestant community. Fewer and fewer people really understood what was happening at the religious service: did it matter whether the congregation recited a creed together? 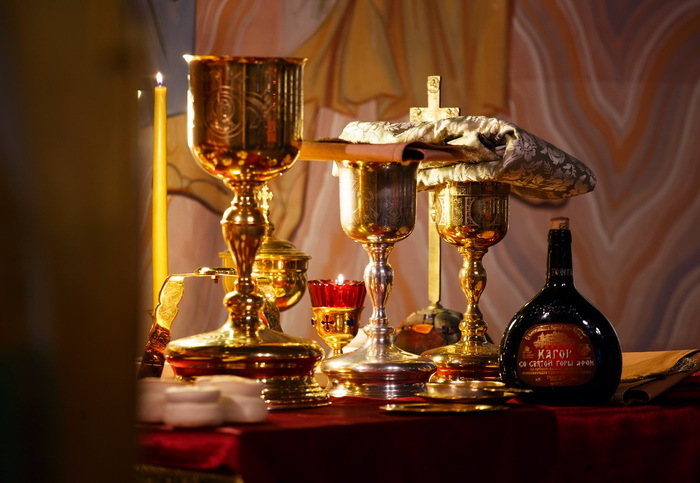 Was the bread and wine at Holy Communion the Body and Blood of Christ? Did it matter whether members of the congregation had been baptized? Gradually, Sister Margarete’s family realized that no Protestant community they could find would have a unified understanding of these questions. 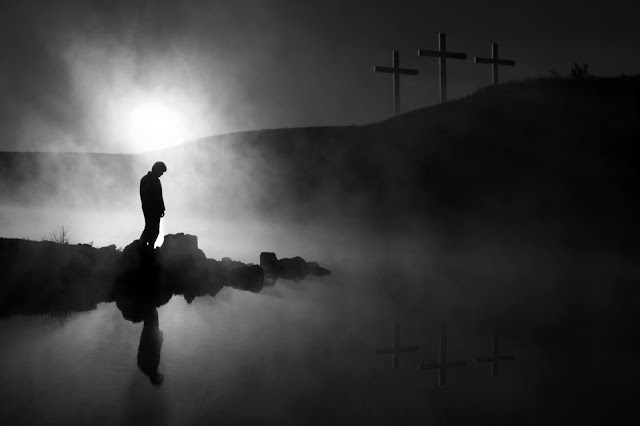 Eventually, the controversy became so sharp that the whole family – Sister Margarete’s father, mother, sister, brother, and herself – converted from Protestantism to Orthodoxy. – Even back in his Protestant years, my father, a teacher of theology, knew about the Orthodox faith and shared his knowledge with our family. And even though I was only 15 and my sister was 16, we understood his choice very well. He is Father Anthony now. He was ordained priest in 2015, after serving many years as a deacon. Converting to Orthodoxy was not easy. Our family has German roots, and Protestantism is deeply ingrained into German culture. For us, accepting the Orthodox faith meant entering a completely different cultural sphere. In addition, parting with fellow parishioners, many of whom we had come to know very closely, turned out to be quite challenging. 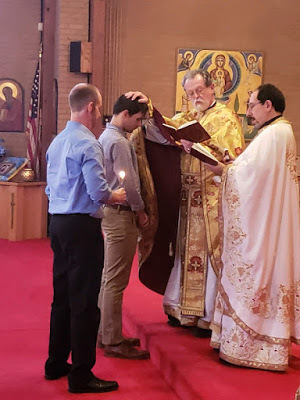 Our first years in the Orthodox Church were marked by mixed feelings: tremendous joy of practicing the true faith and the sadness of parting with certain people, complicated by the loss of a familiar worship environment. It seemed like everyone was expecting us to instantly adopt a whole new cultural identity and start behaving like Greek or Russian people — which is, after all, impossible. 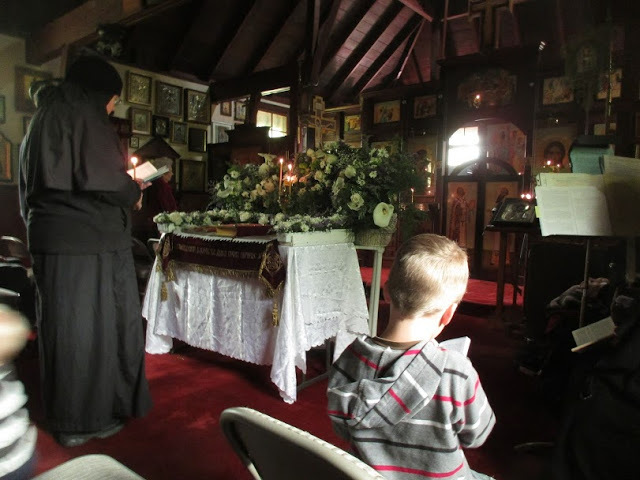 Our chrismation into the Orthodox faith took place in an Antiochian parish. Fortunately, it was multi-cultural, which really helped us blend in. Sister Margarete began thinking about monastic life at the age of 18. At that point she had never even seen a monastic, but the idea of following that path was already in her heart. – Once together with a group of orthodox students we visited a monastery in Guatemala that took care of an orphanage with about 150 children. That was when I first met a monastic sister. Her name was Madre (Mother) Yvonne. I shared with her my interest in monasticism and asked her for spiritual advice. She told me that I should visit orthodox monasteries until I found one that would appeal to me and feel like family. I followed that advice. Monastic life itself is hard enough, and as I learned more about the spiritual life, I felt that pursuing it within a completely new language and culture, be it Greek or Russian, was simply beyond my ability. Thus, for eight years I visited six different communities in the United States that serve in English. Finally, one fine day in 2007, God brought me to St. Barbara Monastery not far from Los Angeles, California where I met Abbess Victoria. That was the day when I clearly realized that my search was over – I saw in her my spiritual mother and a person whose spiritual knowledge can guide others. Mother Victoria combines such practical qualities as confidence, sobriety, and stability with tremendous love. She is happy simply because you are with Christ. You could see it in her eyes, in her voice, even in the way that she would bless people. In a surprising turn of events, however, Sister Margarete was only able to spend four months at St. Barbara Monastery. When she moved to the monastery in 2009, the construction of a new church and monastic cells was moving very slowly, and accommodation for the sisters was limited — most of them had to stay in trailer-houses. When a government committee came in 2009, the sisters were given 30 days get rid of all the trailer homes on the property. This meant that of the 17 women living at the monastery, 10 of them had to leave, or the monastery might be shut down. 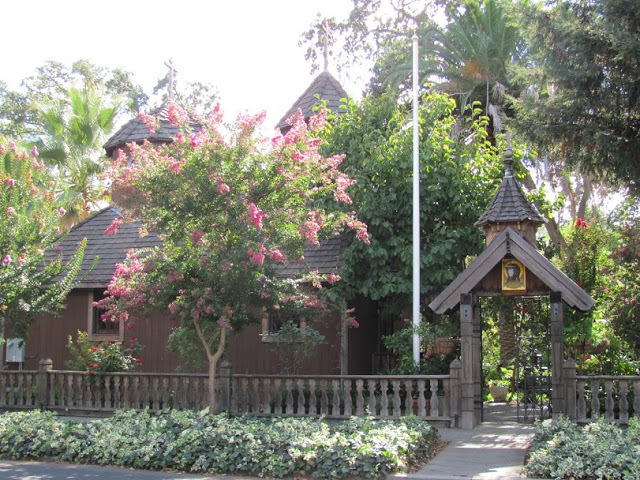 The monastery’s bishop blessed the 10 sisters to move to the Holy Assumption, an old, non-functioning convent near San Francisco that was built by Russian nuns, who had emigrated from the Soviet Union in the 1940s. The bishop had been trying for several years to convince Mother Victoria to send sisters there so that monastic life could be renewed. But Mother Victoria would refuse, arguing that their community was still young, and a separation might prove harmful. This time, all that the bishop had to say was: “Sometimes when we cannot make a decision ourselves, God Himself makes it for us”. – There is a tradition at our convent to sew your monastic habit yourself. On the day when we learned about moving to another convent, Mother Victoria gave me her blessing to set off dressed as a novice, and I had to make my novice’s dress in a hurry! The day before we left was the day when I became Sister Margarete. My Rassophore tonsuring took place three years later, at Holy Assumption Monastery. 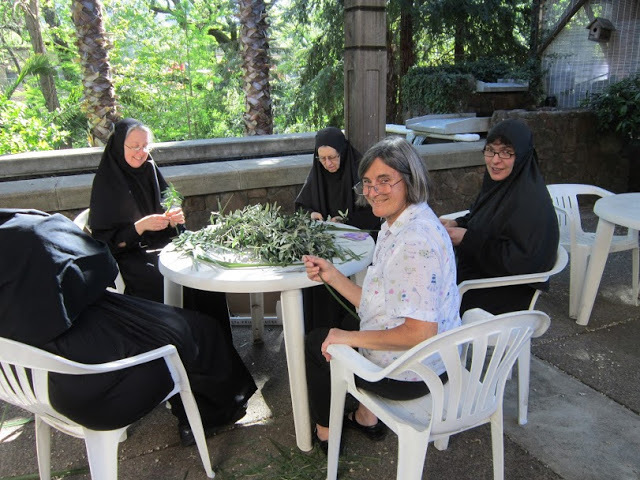 Today, Holy Assumption Monastery is home for 12 monastic sisters, under Abbess Melania. For the first eight years that the sisters spent in the new monastery, Mother Victoria remained their abbess, even though she continued to live at St. Barbara Monastery. Mother Melania, the senior nun at Holy Assumption Monastery, functioned as Mother Victoria’s deputy, the “acting superior” of the community. Finally, in July of 2017, the bishop installed Mother Melania as abbess of Holy Assumption Monastery. The sisters still have a close bond with Mother Victoria and St. Barbara Monastery, but now the two communities are independent of one another. At Holy Assumption Monastery, the day begins with Orthros at 5:30 AM, and the sisters try to refrain from talking until the end of breakfast. After breakfast, everyone goes to their obediences. The 6th Hour is served at 12 noon together with a short Panikhida for the departed. Then there is a shared meal, after which the sisters go back to their work routine. Vespers is usually celebrated around 6 PM, and after a short break, the sisters end their day with Small Compline. Sister Margarete is currently assigned two obediences at her convent: she is a cantor and also an accountant. However, when there are only ten or twelve sisters living in a community, many people share responsibilities, and a sister can wake up thinking that she will spend the day working with papers or paying bills and end up working in the kitchen or taking another sister to the hospital, and the day will go totally differently. 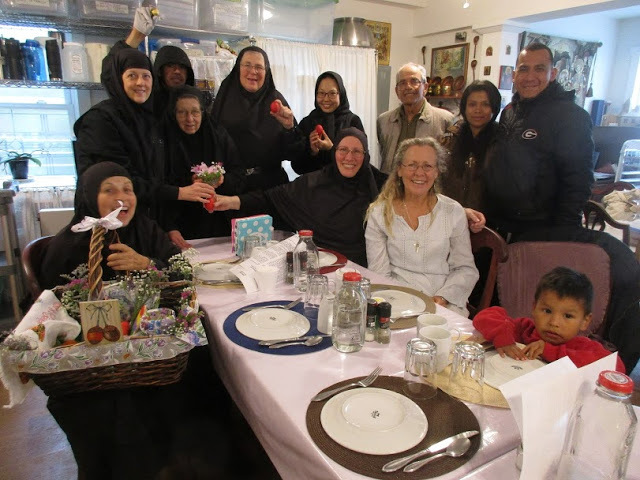 After spending some time in Greece and Jerusalem, Sister Margarete has visited St. Elisabeth Convent and stayed for three months. – At our new place of residence we cannot easily communicate with Mother Victoria and rely on her advice as much as we would before. By the same token, she understands that we are still young and have none of the experience that communities with long-standing monastic tradition have. 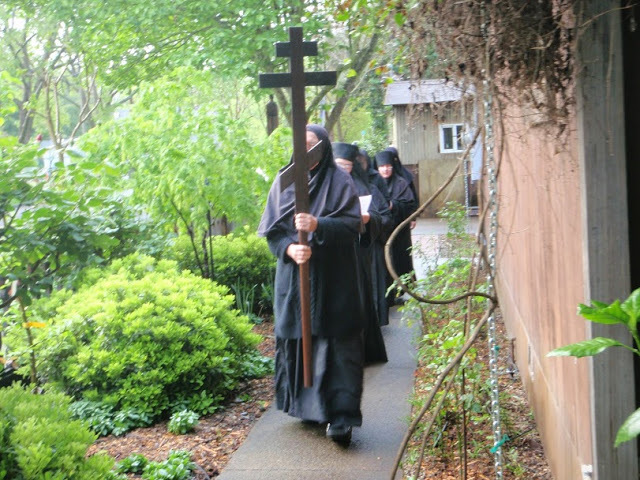 So we need help to deepen our monastery’s spiritual life. Mother Victoria views my pilgrimage as an opportunity to become familiar with the diversity of monastic traditions in Orthodox Church. It takes a while to immerse oneself into the life of a certain community, to get its feeling. You have to spend some time, carry an obedience and become a part of the routine. We did not have many connections to Orthodox monasteries overseas when I began to look for places to visit. In fact, your community was the only one that Mother Victoria really insisted that I visit. Among other reasons, she is deeply interested in the interaction between the black and the white sisterhood here at St. Elisabeth Convent. This is a new model that could take root in our communities too, if God wills. Saint Elisabeth, the heavenly patron of your community, is beloved by many Orthodox people in America, as she is a wonderful example of someone from Western culture embracing Orthodoxy. Being a German and a Lutheran, Grand Duchess Elisabeth consciously took the decision to accept the Orthodox faith and culture without denouncing her own cultural heritage. Many, many Orthodox girls in America are named Elisabeth. 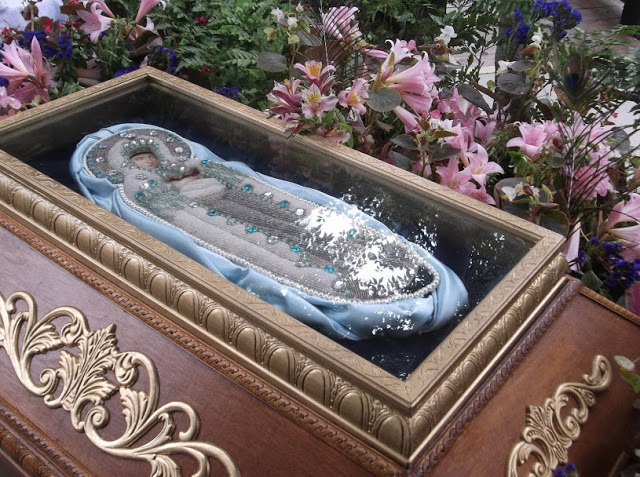 – Throughout my entire journey I have felt a subtle connection with holy mother Elisabeth, and it would be revealed in miraculous things. At the time of my visit to Jerusalem, for example, I got lost as I was walking towards the Convent in Gethsemane. The gate leading to St. Mary Magdalen church was locked. I heard the church bells but I did not know how to get inside. I sat next to the locked gate, not knowing what to do or where to go. Suddenly, another pilgrim appeared, asked me if I was Orthodox, and opened the gate. That was how I first visited the Convent and even got a chance to attend the Divine Liturgy held solely for that particular group of pilgrims. I was blessed by an opportunity to venerate the relics of the Royal Martyr, and I clearly remember constantly addressing her in my prayers, and receiving the unique feeling of my prayer being heard. This memory gives me strength and confidence that Saint Elisabeth will not forsake us in her prayers and her help.